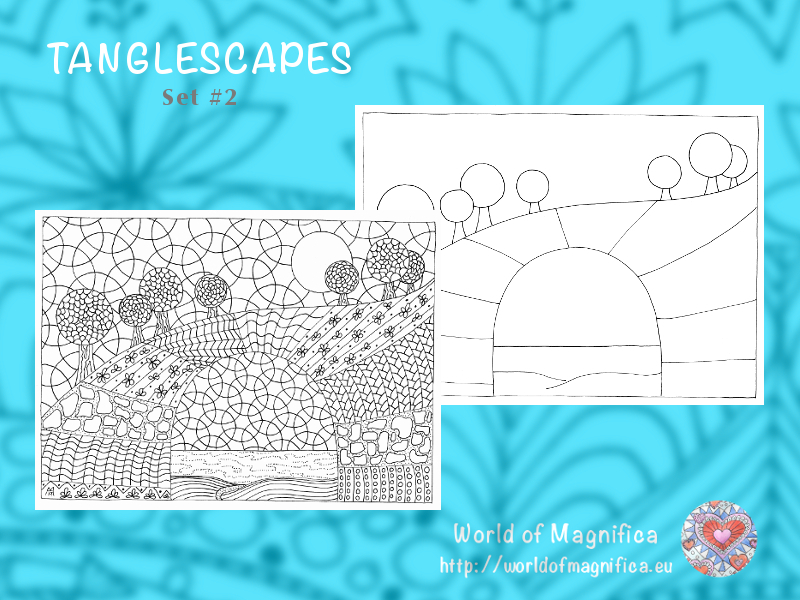 You get two JPG files, one with tangles and one with the outline for your own designs. The outline can of course also be used for colouring, collage, patchwork, quilting or applique, and other crafts. Image size: Each image is roughly 7" x 10" (about 18cm x 25cm) when printed at 100% and 300dpi resolution.